Bohol is an island province in the Philippines, Bohol is considered as a wonder of Central Visayas because of the many things it has to offer to both local and international visitors. 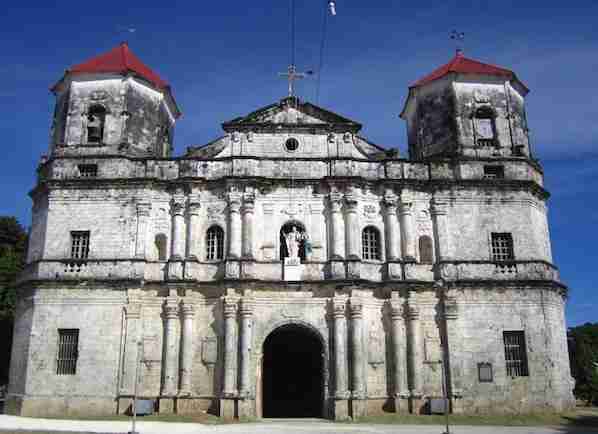 Aside from being packed with a lot of natural wonders, Bohol is also rich in interesting history. This is why it is not a big surprise that Bohol Island is dubbed as one of the country’s premiere island destinations that draws in thousands of visitors and tourists all year round. The good news is that going to Bohol is not that difficult as you can fly directly from Manila to Bohol. Or you can also fly to Cebu and then take a fast craft to the island of Bohol where will take just two hours of sea travel. When you arrive, you can then look for a reliable travel tour operator who will guide you during your Bohol adventure. These tours usually cover the most popular favorite spots among tourists. You can then spend other days in Bohol to get a tan, lounge in the tropical haven, enjoy a relaxing spa and just have your ultimate dream vacation. 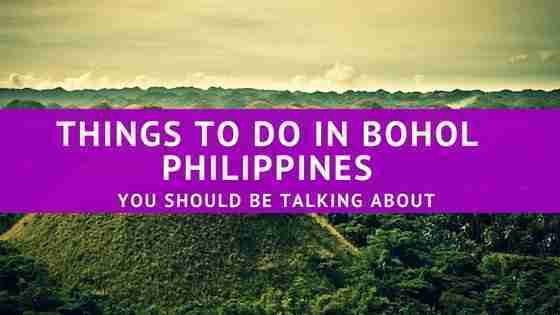 Here is our list of things to do in Bohol Philippines. This should be on top of any list of things to do in Bohol. 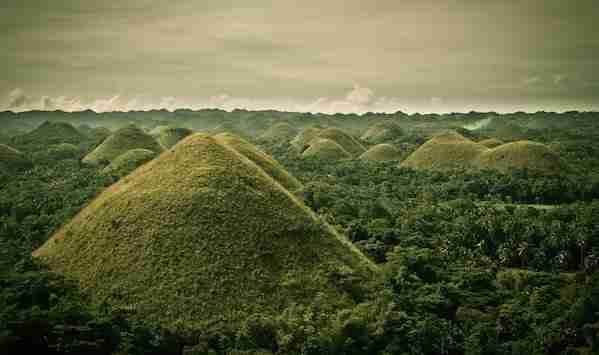 With out a doubt, it is the most famous attraction in Bohol known far and wide is none other than Chocolate Hills. A cluster of 1,268 haycock hills than turn brown when the season gets dry, thus, the name. The natural phenomenon is something that you can only see in the Philippines. Making it a unique wonder that you can never find in other parts of the world. For the best breathtaking view of 360 degrees of the whole area of 50 square kilometers dotted by these half-sphere hills, you can climb up the view deck’s 214 steps located in Carmen, Bohol. If you love to go scuba diving, you must never miss the opportunity to do it during your stay in Bohol as the province is among the most prolific underwater scenes found right in the heart of the Visayas Province. Two of the most famous scuba diving sites are Cabilao Island and Balicasag. 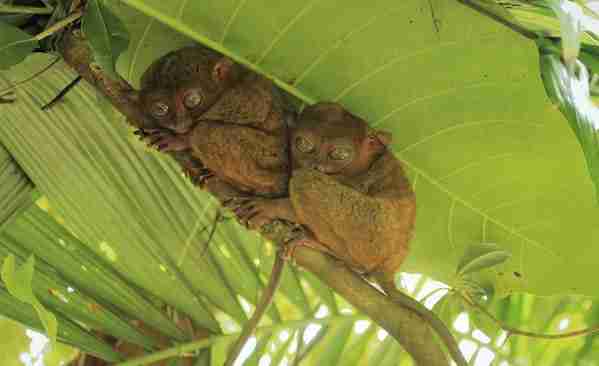 The world’s smallest primate is also found in Bohol, none other than the tarsiers. Tarsiers are nocturnal animals, although those living in Loboc River Zoo already adapted well to the human sleeping patterns. These primates feed on different insects and you can see them hanging onto tree branches. Tarsiers can live to as much as 20 years with a single mating season every year which lasts for only 3 seconds. Tarsiers are even said to be the one that inspired George Lucas’ character of Master Yoda in the famous Star Wars series. You can take photos with these cute animals as long as you don’t use flashes with your cameras and you remain quiet while exploring the place. This is because tarsiers are easily disturbed and agitated. The Loboc River Cruise will let you enjoy lunch or even dinner aboard the ferry as you enjoy the scenic view of a palm plantation along Loboc River. Relax by watching the live performance of Loboc locals at river banks and kids who show off their skills jumping off trees into the water. Baclayon Church or also known as Church of Our Lady of Immaculate Conception located in Baclayon is considered as the second oldest church in the country of the Philippines. It’s one of the well-preserved Jesuit constructed churches. Another church that you can visit is the Dauis Church or Church of Our Lady of Assumption, which is popular for its well at its altar’s foot. It appeared miraculously when the town was actually attacked by the pirates centuries ago. It’s also believed to have a healing power. Therefore, when visiting, take note to bring bottles and take them home. Loay Bolo Makers are the ones who create local swords. Tourists can watch how they’re made, yet can’t be purchased. The distribution and sale of the bolos were the local government’s responsibility to ensure that the makers of bolo will get fairer prices. 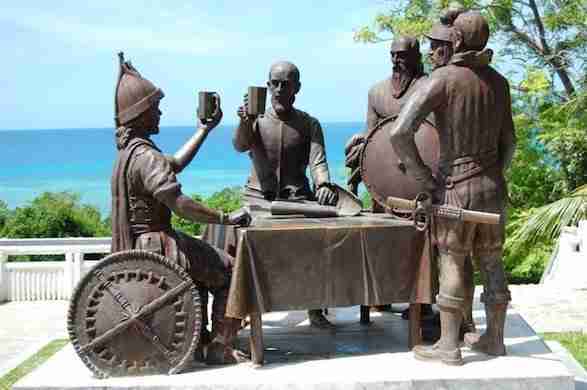 It is the place found in the city of Tagbilaran where monuments were constructed of the friendship pact or blood pact that was made between Spain’s Miguel Lopez de Legaspi and Rajah Sikatuna in year 1565. The spot overlooks the forest where it is prohibited to enter because of the number of the migrant birds and some animals. On contrary to what you thought it is, it’s actually more than a honey factory. It features a restaurant of organic foods and a resort as well. This is definitely one of the more interesting things to do in Bohol. See to it that you consider a farm tour where they highlight their spice and organic vegetable garden and some things about bee farming. They also have a shop that sells organic produce such as bread spread, honey, wine, and so on. 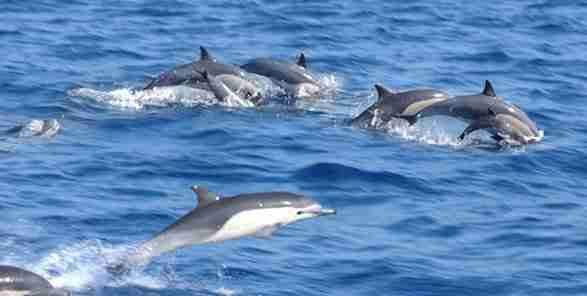 If you want something new, dolphin watching is another famous attraction in the island. It’s a forty-minute banca ride from the Panglao island and you need to get up before seven in the morning. The dolphins are prompt and often came in hundreds. It’s a magnificent show, which lasted sixty minutes. It’s worthy to remember that until a decade, the locals used to be a dolphin hunter. Nowadays, it’s a protected area as well as killing sea creatures are prohibited. Hunters eventually became spotters, thanks to the ecotourism that was introduced by the local government. If you are the type of person who loves everything about history, you enjoy visiting one of the numerous Spanish period homes in Bohol and this is popularly known as Clarins Ancestral House. It is a nineteenth century ancestral home of the family of Clarins clan, which is now considered as a national heritage site and was already transformed into a museum. Bohol has loads of guest houses, hostels, and hotels. Here are a few places to check out if you are planning to visit Bohol Philippines. Situated in Tagbilaran City and with Bohol is 3.9 km from the hotel. Belian Hotel offers on-site dining. Free shuttle service, this property also provides guests with a sun terrace. The accommodation offers a 24-hour front desk and free WiFi throughout the property. Situated at the oceanfront, Blue Star Dive and Resort features breathtaking views of the sea against the horizon. It offers an outdoor swimming pool with a hot tub. Free Wi-Fi is available in its public areas. Featuring a private balcony with seating area, guest rooms are equipped with an electric kettle, personal safe, wardrobe and a minibar. En suite bathrooms come with shower facilities. Located in Loboc, 10 km from Tarsier Conservation Area, Water to Forest Ecolodge features a garden. And a terrace and a shared lounge, as well as free WiFi. The rooms are equipped with a terrace with views of the river. With a private bathroom fitted with a bidet and free toiletries. And rooms at the bed and breakfast also feature a garden view. And Finally, once you visit Bohol, you will have plenty of options to visit, explore, discover and with many more things to do in Bohol. All you have to do is to choose the activities you prefer and start enjoying what Bohol has to offer. And that’s it for now! 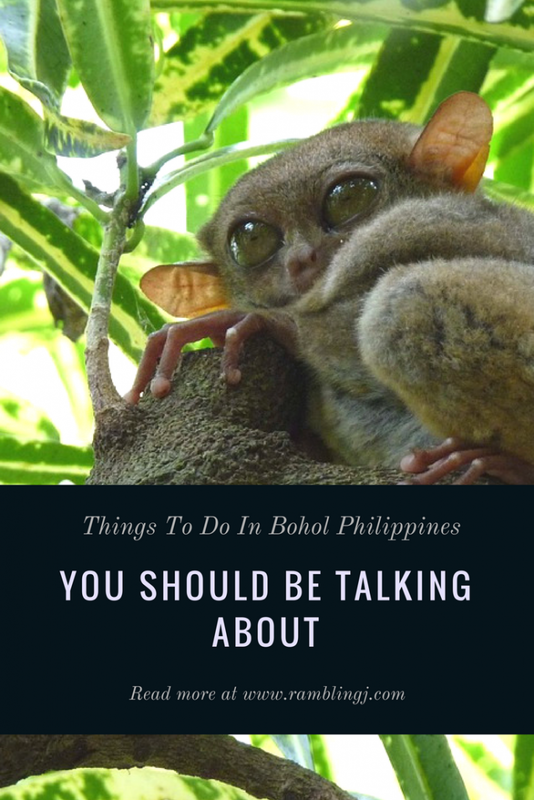 I’d love to know if this guide on the things to do in Bohol Philippines has helped you. Let me know if you have any questions and let me know if you go too.